Panasonic announced the HC-X1, a 4K UHD Professional Handheld Camcorder that supports 4K 24p, UHD 60p/50p, FHD 60p/50p multi-format recording and HD super slow-motion (120/100 fps). The 24mm wide angle Leica Dicomar 4K lens offers 20x optical zoom, covering a range from 24mm wide-angle to 480mm telescopic (35mm film equivalent at 4K 24p). The HC-X1 features a 5-Axis Hybrid O.I.S. that combines both optical and electronic image stabilization when in HD shooting modes. Hand-shake correction detects movement in various directions and corrects for a clear and stable image. The HC-X1 also features an Advanced O.I.S. that provides powerful image stabilization correction, even in the most unstable shooting locations. A 4K 1.0-inch MOS Sensor delivers precise, high-speed recording with great depth of field and sensitivity. 4K 24p, UHD 60p/50p, FHD 60p/50p multi-format, and HD 120-fps (59.94Hz)/100-fps (50Hz) super slow-motion recording are possible. The HC-X1 contains precise Intelligent AF, which can be customized by adjusting the AF speed, sensitivity and area. Dual SD memory card slots allow unlimited relay recording, simultaneous recording and background recording options. Unlimited relay recording is enabled by simply changing SD cards during recording. Users can download the AG ROP app for iPad which provides wireless remote control over camera settings, picture quality adjustment, REC start/stop, lens and menu settings. Recorded footage can also be viewed on an iPad through the AG ROP app. Zoom, Focus and Iris control rings. 2-Channel XLR Audio Inputs (16-bit linear PCM when recording MOV/MP4 or Dolby Digital when recording AVCHD). Retractable touch LCD that can turn 270 degrees. ND Filters: 1/4, 1/16, 1/64. HDMI Output up to 4K 24p and UHD 60p/50p. The HC-X1 will be available in December 2016 for a retail price of $3,199.99. 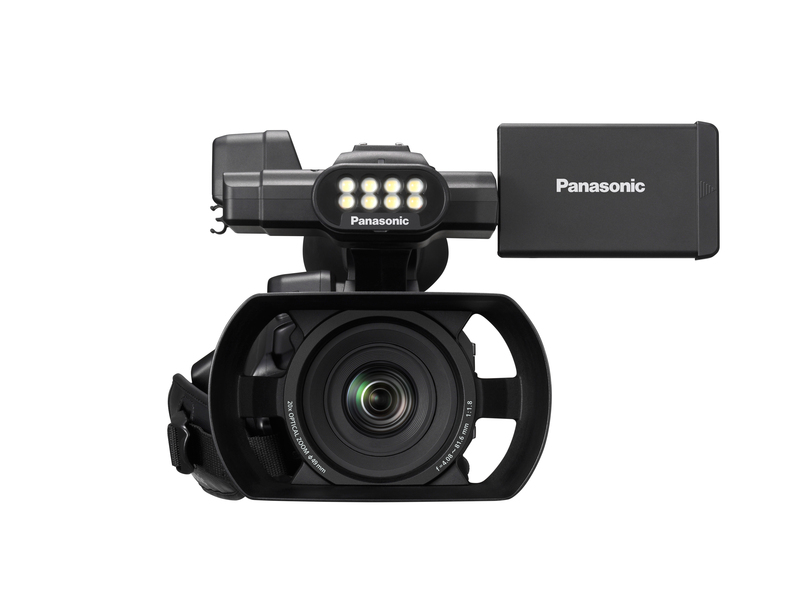 Pre-order the Panasonic HC-X1 today from Texas Media Systems! Canon has announced the successor to the ever popular EOS 5D Mark III DSLR Camera. The new EOS 5D Mark IV boasts a long list of new and welcome features, most notably being a 30.4 Megapixel 35mm full-frame CMOS sensor with Dual Pixel Auto Focus, as well as the ability to record 4K Video up to 30p. Along with the 5D Mark IV, Canon introduced two new L-Series lenses: the EF 16-35mm f/2.8L III USM Ultra-Wide Zoom Lens and the EF 24-105mm f/4L IS II USM Standard Zoom Lens. These new lenses offer edge-to-edge sharpness across the imaging plane. The EOS 5D Mark IV contains a new 30.4 Megapixel 35mm full-frame CMOS sensor and is accompanied by a 61-point High-Density Reticular AF II system, with user selectable AF points. ISO range for the 5D Mark IV is ISO 100-32,000 and is expandable to 50-102,400. Facial recognition and tracking has been improved, as well as capturing scenes with fast-moving action (such as nature and sports). The EOS Scene Detection Systems is able to compensate for flickering light sources by automatically adjusting shutter release timing. 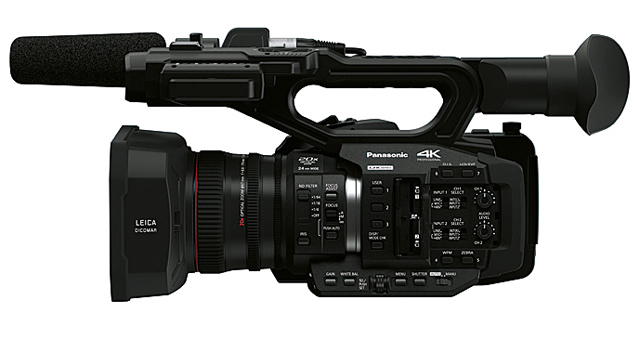 Taking a leap forward from the EOS 5D Mark II and Mark III, the Mark IV introduces DCI 4K video recording. Canon’s Dual Pixel CMOS AF functions during 4K recording, allowing for continuous focus tracking. This autofocus technology assists in creating sharp focus for in-camera 4K Frame Grab extraction of 8.8 megapixel JPEG stills. The EOS 5D Mark IV includes built-in Wi-Fi and Near-Field Communication (NFC) for easily transferring stills and videos to compatible devices. This feature also enables remote shooting with the Canon Camera Connect App. A built-in GPS receiver with compass provides geo-tagging information (latitude, longitude and elevation), making it simple to track shooting locations and syncing multiple-camera setups. The GPS feature will also sync the camera to the atomic clock, a useful feature for multiple photographers shooting the same event. 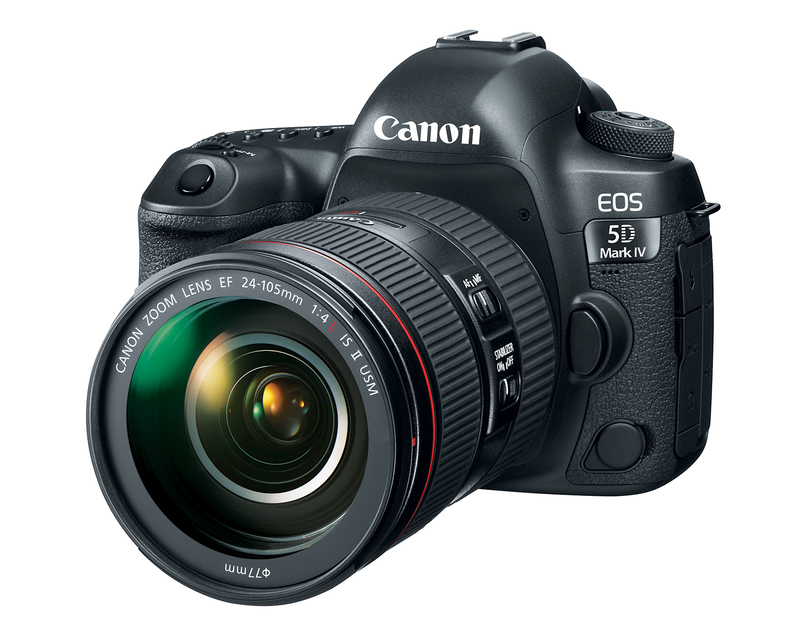 Availability of the Canon EOS 5D Mark IV is currently scheduled for early September 2016 with an estimated retail price of $3,499.00 (Body Only). There will also be body-and-lens kits with the EF 24-70mm f/L Lens (estimated retail price of $4,399, scheduled for early September) and the EF 24-105 f/4L IS USM Lens (estimated retail price of $4,599, scheduled for late October). New 30.4 Megapixel full-frame CMOS sensor with ISO range 100–32,000; expandable up to 50–102,400. Up to 7.0 fps continuous shooting speed with high performance DIGIC 6+ Image Processor for improved speed and image quality. Pre-order the Canon EOS 5D Mark IV from Texas Media Systems today! Blackmagic Design have released Camera 4.0 Update (Beta) for the URSA Mini 4.6K and 4K cameras. Please note that this release is a public beta and for trial/testing purposes only. URSA Mini users working on commercial productions should continue using the current software. The Camera 4.0 Update adds tons of new features including an entirely new operating system and a brand new user interface for Blackmagic’s URSA Mini cameras. You can download the Camera 4.0 Update Public Beta from Blackmagic’s website here. What’s New in the Camera 4.0 Update? New menu system to allow faster operation. New monitoring options separately configurable for different SDI outputs. Added ability to load 3D LUTs (Look Up Table) for monitoring. Added ability to save and load camera settings presets. Swipe up or down to show and hide the heads up display. Added ability to change frame rate directly from heads up display. Added ability to change iris from heads up display on electronic lenses. Added ability to toggle timecode or duration from heads up display. Added ability to toggle favorite off-speed frame rate quickly. Added ability to change shutter angle from heads up display. Added flicker free shutter angle suggestions. Added manual shutter angle option for up to 2 decimal places. Added indicators for genlock, timecode status, and sensor window in heads up display. Added ability to change ISO from heads up display. Added ability to change white balance from heads up display. Added white balance presets including daylight, tungsten, fluorescent, mixed lighting, and overcast. Added auto white balance feature. Added audio input and headphone level control from the heads up display. Added media status page for formatting cards and media information. Added ability to toggle battery indicator from heads up display. Added monitoring option controls from heads up display including zebra, focus assist, frame guide and grids. Improved slate and metadata functionality. Added lens data information to slate metadata. Added auto-fill lens metadata from electronically controllable lenses. Changed slate shortcut from a single tap to a sideways swipe on the LCD. Added additional ProRes resolutions for URSA Mini 4.6K including 4.6K 16×9, 4.6K 2.4:1, 4K DCI, 3K Anamorphic, 2K 16×9 and 2K DCI. Added additional RAW resolutions for URSA Mini 4.6K including 4.6K 2.4:1, 4K 16×9, 3K Anamorphic, 2K 16×9 and HD. Added option to select the preferred card for recording. Improved screen colorimetry for the built in LCD. Added ability to switch 3D LUT on and off for each output individually. Added ability to switch false color, zebras, focus assist, frame guides, grids and safe area guide on or off for each output individually. Added clean feed toggle for each output. Added program tally indicator for the built in LCD and Front SDI when using ATEM. Added monitoring option for tally, crosshairs and centre dot as part of grids. Added configurable safe area guides. Expanded options for focus assist to include red, green, blue, black and white as well as peaking. Added option for viewing codec and resolution setting instead of meters on the built in LCD. Added ability to program function buttons as a preset for frame rate, iris, white balance, ISO or shutter angle. Added ability to program function buttons for Up or Down frame rate, iris, white balance, ISO or shutter angle. Added ability to program function buttons as a toggle for clean feed, display LUT, frame guides, focus assist, false color, zebra, grids, safe area guides, off-speed and color bars. Added flicker free shutter frequency selection for 50Hz or 60Hz. Added support for drop frame timecode. Added ability to trigger color bars from camera. Added ability to create up to 12 global camera settings presets. Added ability import and export camera presets to CFast media. Added ability to monitor with 3D LUTs. Added ability to import 3D LUT from CFast media. Added ability to store up to 6 custom 17 point or 33 point LUTs into the camera’s internal flash memory. Added the ability to export one of the camera’s 3D LUTs to CFast media so you can pass the 3D LUT to a colorist or editor. Added ability to delete 3D LUT from camera’s internal memory. Improved timecode functionality for external timecode and jam timecode. Added option for single clip or all clip playback. Improved proximity sensor timeout settings. Added support for URSA Mini OS metadata settings. Added support for new frame guides, safe area guides and grids. Added menu items for configuring overlay settings. Click here to learn more and download the Camera 4.0 Update Public Beta. 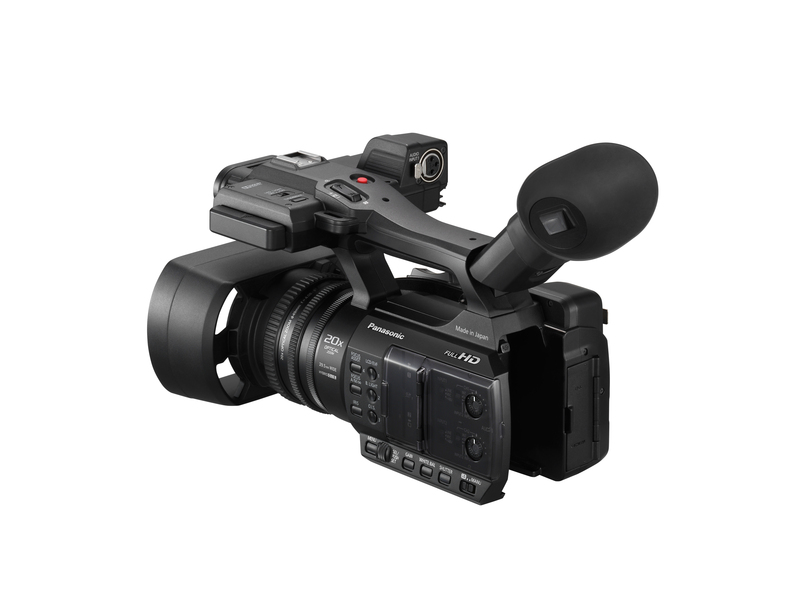 Order the Blackmagic URSA Mini 4.6K from Texas Media Systems below! On Wednesday, July 27, 2016 Canon released Firmware Update Version 1.0.4.1.00 for the Canon EOS C300 Mark II Cinema Camera (EF and PL Mounts). The new update brings new features and improvements to Canon’s flagship 4K camera. Adds support for Canon Log 3. 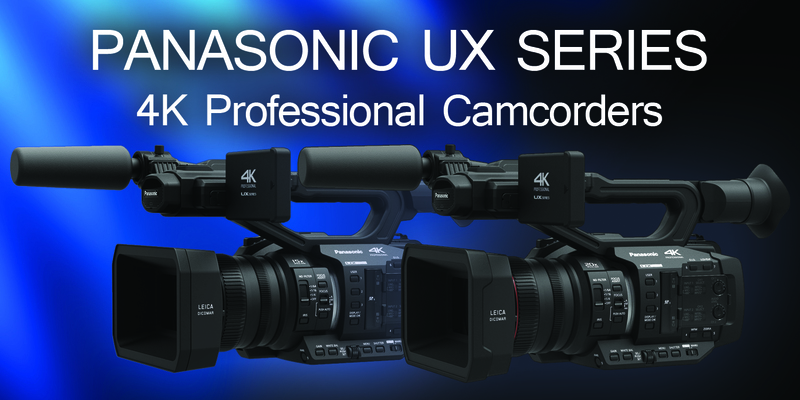 The Canon XF Utility software (bundled with the Canon C300 Mk II) must be updated to Version 3.1. 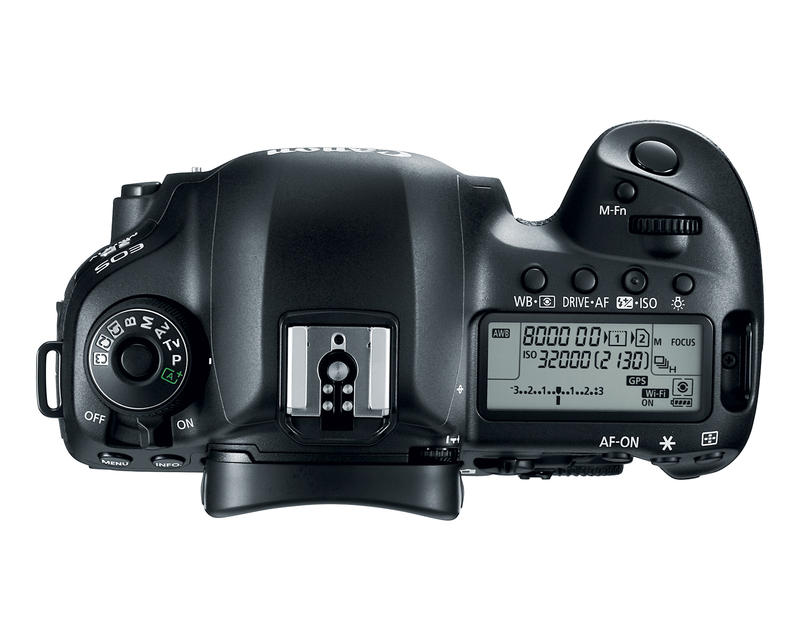 If using Canon XF Utility 3.0 or earlier, gamma information will not be shown correctly in the metadata of clips filmed on the Canon Log3 Gamma setting. Minimizes Canon Log 2 noise in darker areas. Enables magnification to be used during recording. “Face detection and tracking” and live view display using Browser Remote will not function when magnification during recording is set. The following features are enabled when these lenses are attached. The lens firmware must also be updated: CN7x17 KAS S/E1, CN-E18-80mm, T4.4 L IS KAS S or CN20x50 IAS H/E1. Enables the joystick on the camera’s grip unit to operate the zoom (can be set in camera menu settings). Enables manual iris control, and control of focus, zoom and iris using the RC-V100 Remote Controller (sold separately). Enables automatic aperture and push auto iris. Enables retrieval of metadata, such as the model name and the focal distance of the lens attached. Enables Dual Pixel Auto Focus Function when these lenses are attached: CN7x17 KAS S/E1 lens, CN-E18-80mm T4.4 L IS KAS S lens or any EF cinema prime lenses. EF lenses: EF35mm f/1.4L II USM, EF50mm f/1.8 STM and EFS18-135mm f/3.5-5.6 IS USM. Enhances menu operations so that settings related to resolution/color sampling, etc. are retained as accurately as possible when switching recording settings. Supports ACES proxy (ACES 1.0). Mitigates black-­‐dot phenomenon that appears in the periphery of high- brightness light sources. FIRMWARE UPDATES CANNOT BE PERFORMED USING CFAST 2.0 CARDS. USE a SD/SDHC/SDXC MEMORY CARD WITH 64MB OR HIGHER CAPACITY. Please note that once the C300 Mk II is updated to the latest firmware, it cannot be restored to a previous version. The camera’s menu settings and Custom Picture setting will be reset once the firmware update has completed. Canon recommends saving your menu and custom picture settings to an SD card before performing the update (make sure the SD card is separate from the one you will use to perform the update). Once the update has been performed, the saved settings can be reloaded into the camera. The downloaded firmware folder contains the procedure manual for updating the firmware. The Firmware Update Version 1.0.4.1.00 for the Canon EOS C300 Mark II can be downloaded from Canon’s website here. 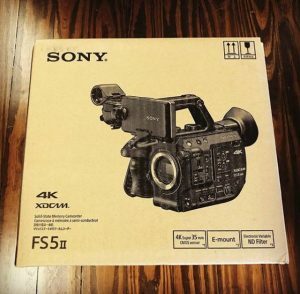 Sony PXW-Z150 now IN STOCK at Texas Media Systems! 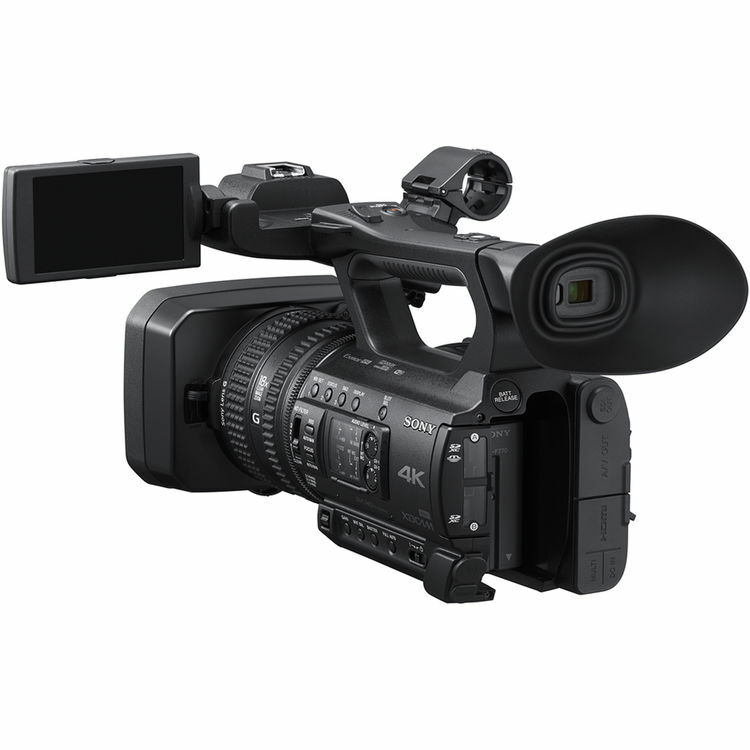 Sony’s new 4K handy camcorder, the PXW-Z150, is in stock now at Texas Media Systems! The Z150 packs a punch with tons of professional features tucked away inside a small, handheld form factor. This camera has it all: 4K image quality, 120fps HFR Full-HD slow-motion and built-in advanced networking for live streaming and wireless workflow. The first of its kind to feature a 1.0 inch type stacked CMOS sensor, the PXW-Z150 outputs brighter, higher resolution images with more bokeh when capturing a shallow depth of field. Record 4K QFHD (3840×2160) using the advanced XAVC Long GOP 100Mbps codec for broadcast-quality footage. The PXW-Z150 incorporates an optical 12x zoom lens and features Sony’s Clear Image Zoom which doubles magnification to 18x when shooting in 4K QFHD. When filming in HD magnification almost triples to 24x. The PXW-Z150 can record 120fps Full-HD, allowing users to obtain cinematic-quality slow-motion shots. Utilize various professional workflows with the ability to record XAVC, AVC/H.264, AVCHD 2.0, and MPEG-4 formats. A built-in four position ND filter negates the need to carry around extra filters. Built-in Wi-Fi allows for live streaming and FTP connection. Pair the PXW-Z150 to your smartphone or tablet and control the camera via Wi-Fi Remote. 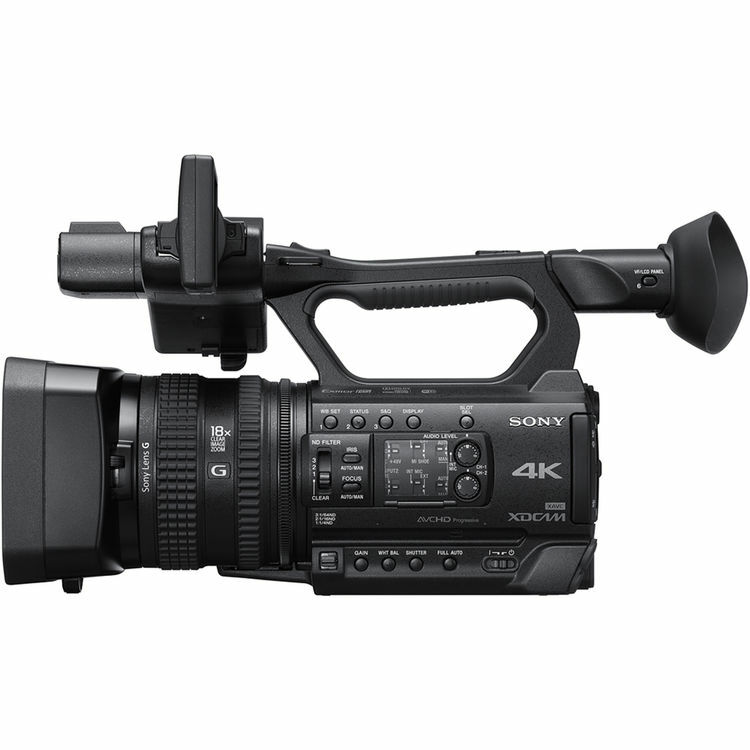 The Sony PXW-Z150 is in stock now at Texas Media Systems. Call or stop by and purchase yours today, or purchase one online from our store here! Still not convinced? Check out some test footage of the PXW-Z150 below and experience the quality for yourself! You can also rent the Sony PXW-Z150 from Texas Media Systems TODAY! Check out our rental catalog here for pricing. On Wednesday, July 27 2016 Canon released Firmware Update Version 1.0.2.1.00 for the Canon EOS C100 Mark II Cinema Camera. The new update brings new features and improvements to one of Canon’s most popular cameras. 1. Please note that the following features are only enabled when these specific lenses are attached to the Canon C100 Mk II: CN7x17 KAS S/E1, CN-E18-80mm T4.4 IS KAS S, CN20x50 IAS H/E1. The lens firmware must also be updated to the latest version. Enables the joystick on the grip assembly to operate the zoom function. Enables iris control to be set to manual, and control of focus, zoom and iris using RC-V100 Remote Controller (sold separately). Enables retrieval of metadata (model name, focal distance, etc.) of the attached lens. 3. Enables the built-in monaural microphone to be set to “Off” position. 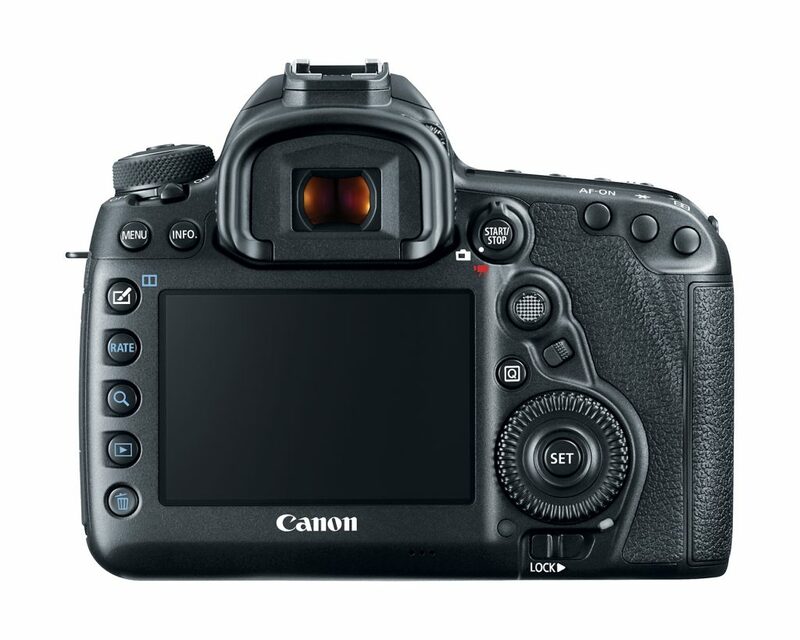 Once the C100 Mk II has been updated to the latest firmware, it cannot be restored to a previous version. Only update to Firmware Version 1.0.2.1.00 if your Canon EOS C100 Mk II is running Firmware Version 1.0.0.1.00 – 1.0.1.1.00. The camera’s menu settings and Custom Picture setting will be reset once the firmware update has completed. Canon recommend saving your menu and custom picture settings to an SD card before performing the update (make sure the SD card is separate from the one you will use to perform the update). Once the update has been performed, the saved settings can be reloaded into the camera. The Firmware Update Version 1.0.2.1.00 for the Canon EOS C100 Mark II can be downloaded from Canon’s website here. 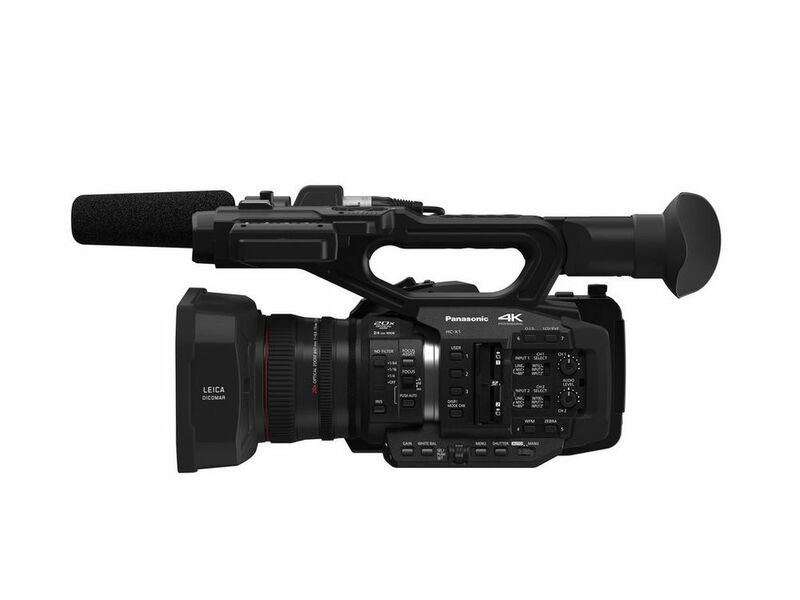 Panasonic has pulled the curtain on its new entry-level handheld camcorder, the AG-AC30. Weighing just over 3 pounds, the AC30 contains many features one would expect to find on a high-level professional camcorder. Thanks to its 20x zoom and 29.5 mm wide angle lens, the AG-AC30 allows you to capture beautiful zooms and engaging wide shots. The AG-AC30 records up to 1080p Full HD (AVCHD up to 28 Mbps and MP4/MOV up to 50 Mbps) and is capable of simultaneous recording via dual SD card slots. The AC30 also has the ability to switch from one card to the other for extended recording times. One of the stand out features of the AG-AC30 is the built-in LED light with color conversion and diffusion filters. With an output of 300 lux at 1 meter, the built-in LED light is perfect for nighttime shooting and interviews. The 1/3.1-inch Back Side Illumination (BSI) sensor is smaller than a 1-inch and MFT sensor, but it packs a punch with an increased effective area with 6.03M effective pixels and a new Noise Reduction function for clear and vibrant images, even in low-light. Another key attribute is the 5-Axis Hybrid Optical Image Stabilization (O.I.S.) that assists in obtaining smooth footage when shooting handheld. Zoom, Focus, and Iris can be precisely controlled with the AC30’s 3-manual, multi-purpose lens rings. The AC30 incorporates Intelligent Auto Focus and includes an array of Focus Assist Functions such as Focus Expand, Focus Peaking, and Area Mode. An LED ring serves are a tally light and recording verification. The 3-inch retractable LCD touch-panel offers HD monitoring, and the 1.55 million dot EVF can tilt to accommodate multiple shooting positions. The AC30 features two XLR audio inputs with +48V phantom power and an HDMI output for external monitoring and recording. Panasonic states that the AG-AC30 will ship in August 2016 for a retail price of $1,799. 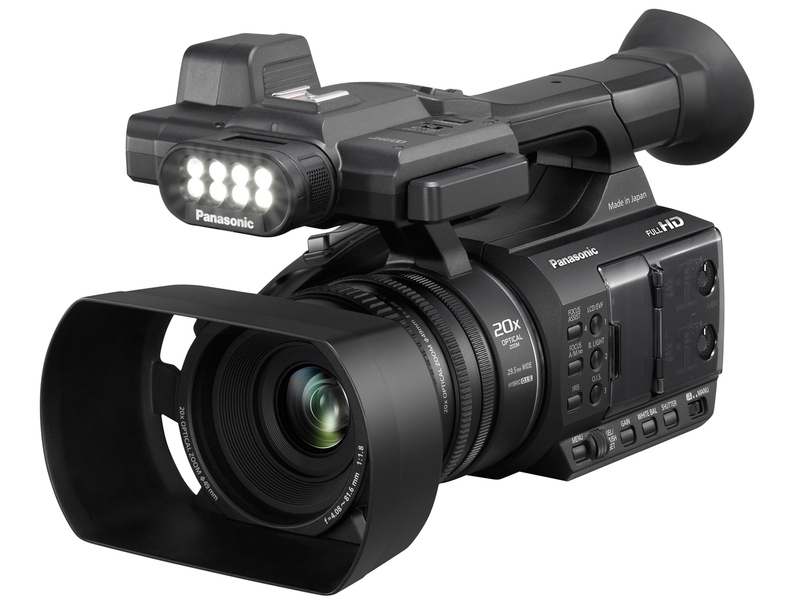 Pre-Order the Panasonic AG-AC30 from Texas Media Systems here!